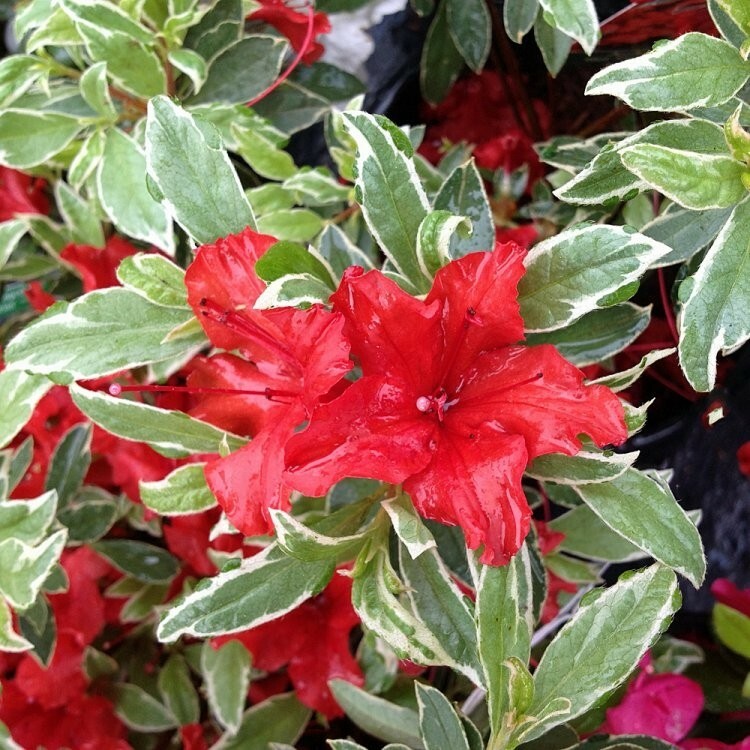 Japanese azaleas are short growing, evergreen shrubs, and Hotshot is an exceptional variety, carrying masses of bright red flowers above variegated leaves. 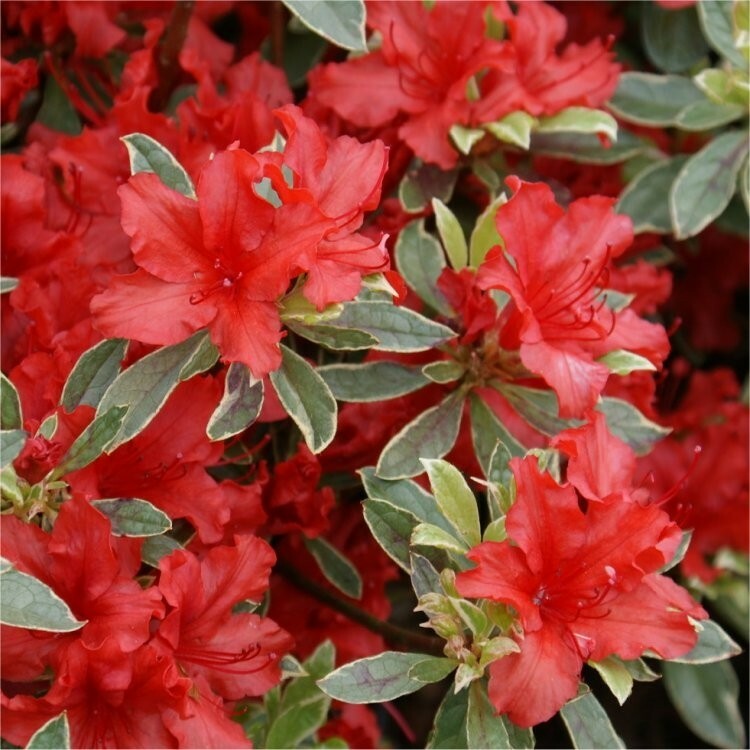 Azalea japonica Hot Shot Variegata has glossy green and silver leaves and produces trusses of funnel shaped single scarlet red blooms in late Spring, heights can reach up to 60cm. 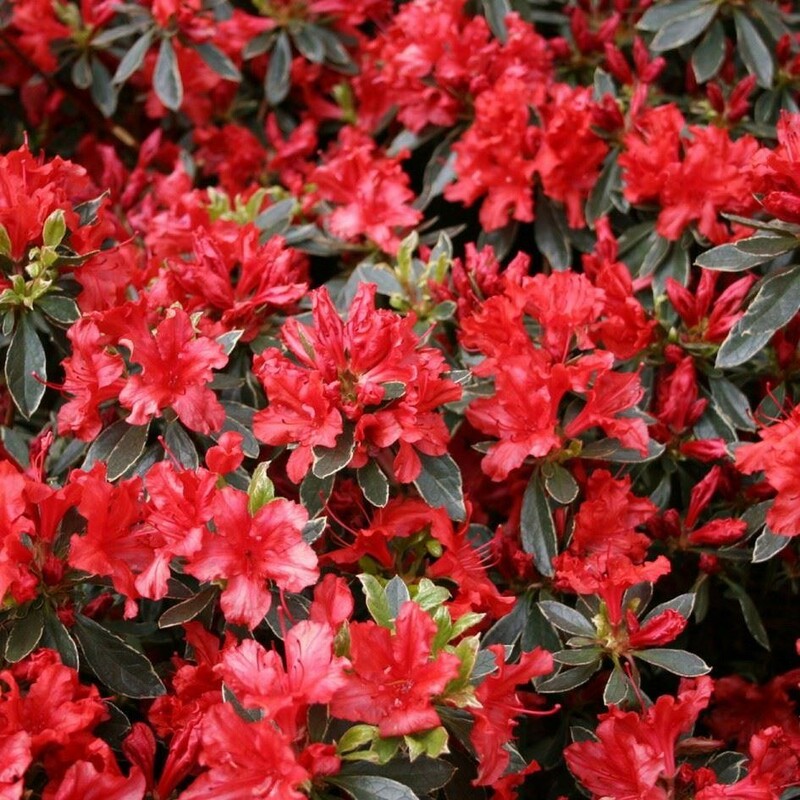 Azaleas thrive in acidic soil, bear small leaves and bright showy tubular flowers in mid to late spring. 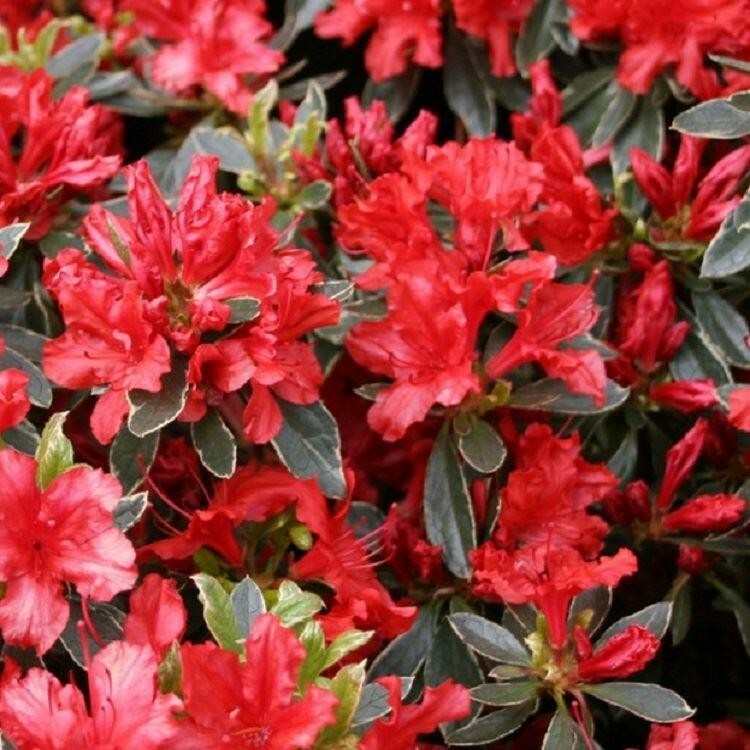 They are the perfect shrub for rockeries, gap fillers and pots, no work required and are enjoyable all year round, a garden must have!